I didn’t line up for the iPhone 4 when it was first released in Canada at the end of July, so I had to wait. It took about 6 weeks but it is definitely worth waiting. Before I say goodbye to my original iPhone, here are some photos of the iPhones for comparison. 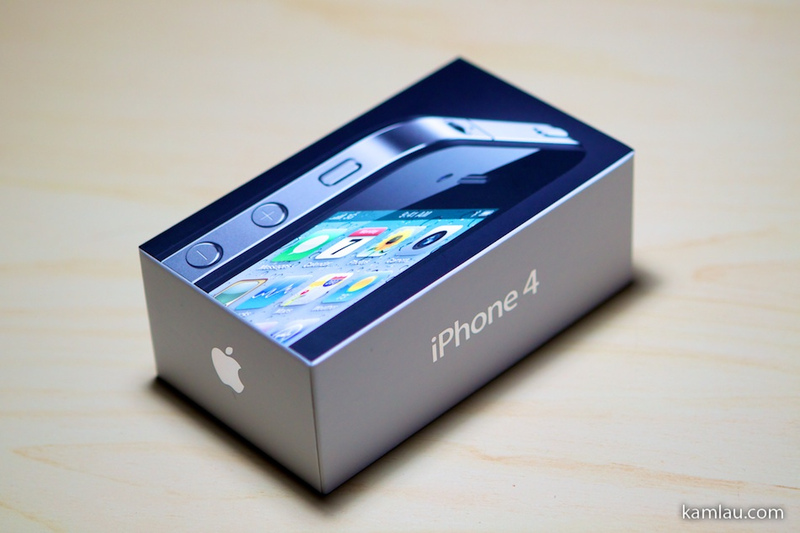 I bought the original iPhone in Feb 2008, just months before the iPhone 3G was made available. 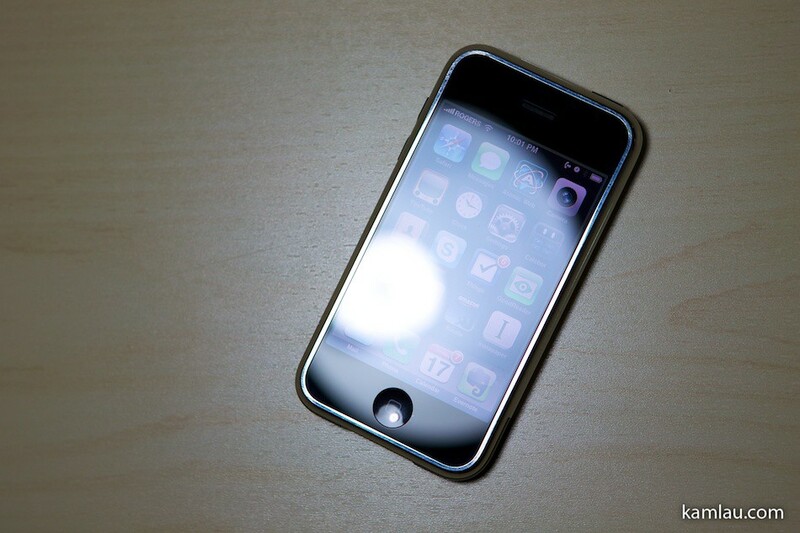 Though I didn’t get to enjoy the 3G connectivity, I really like the design of the original iPhone. 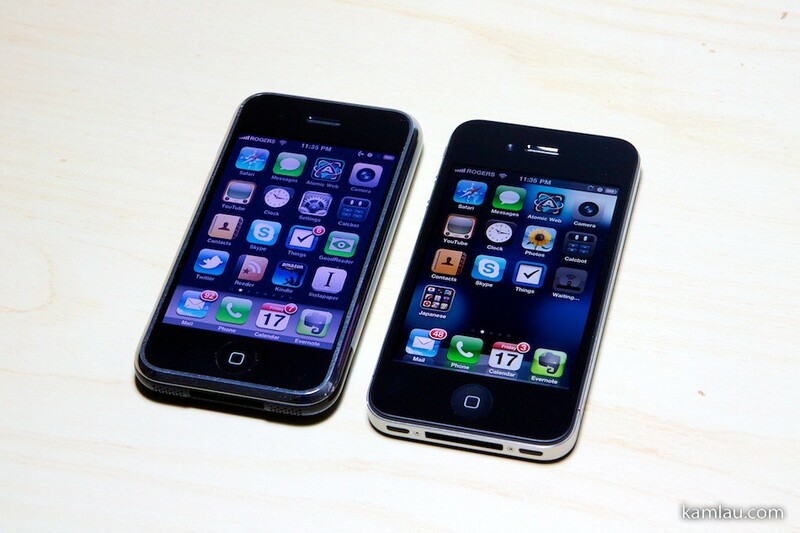 Here is the original iPhone sitting side-by-side to the new iPhone 4. After 2.5 years of usage, I managed to keep it in pretty good shape. No scratch on the front glass surface. 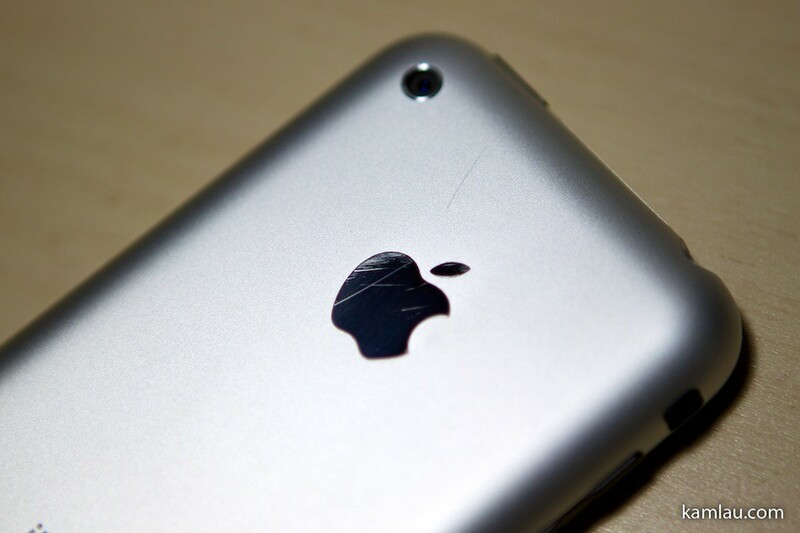 There are some scuff marks on the back of the phone. Here is a close up of the scuff marks. There are no dents or anything on the phone as I never dropped it on a hard surface. 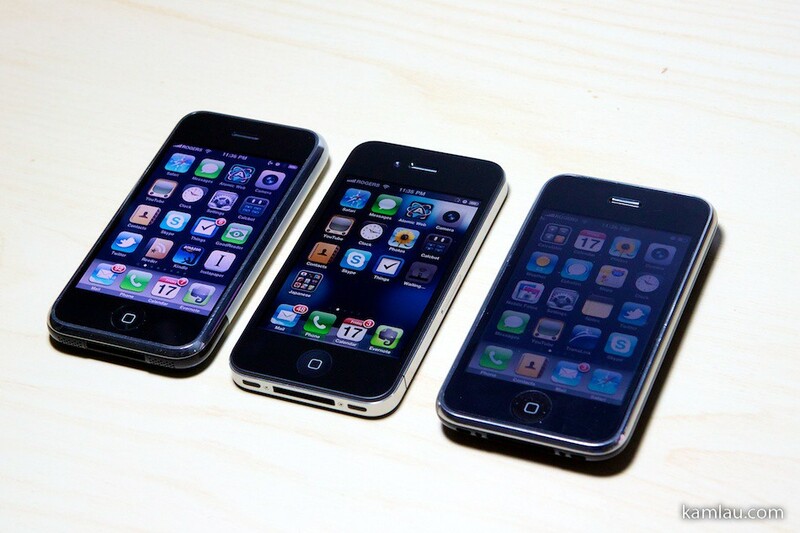 Comparing the original iPhone, iPhone 4 and iPhone 3G, I am still pretty impressed with the screen of the original iPhone as it is just as bright as it was when I first got it. Even after 3 years since the original iPhone was released, there is basically not a lot of changes in design in the exterior elements of the phone. 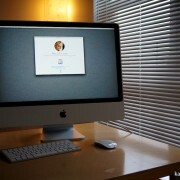 Apple managed to nail a design that is quite remarkable and they are still using more or less the original design today. Same on the back of the phone, very similar design across these generations. 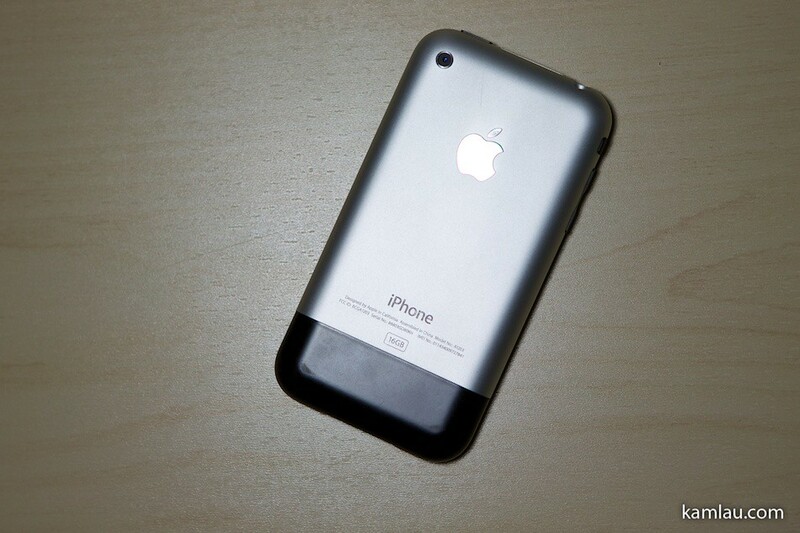 The original iPhone still feels the strongest as it has the aluminum back. Most of us do find it a bit slippery to hold but I got used to handling it without ever losing it off my hand. 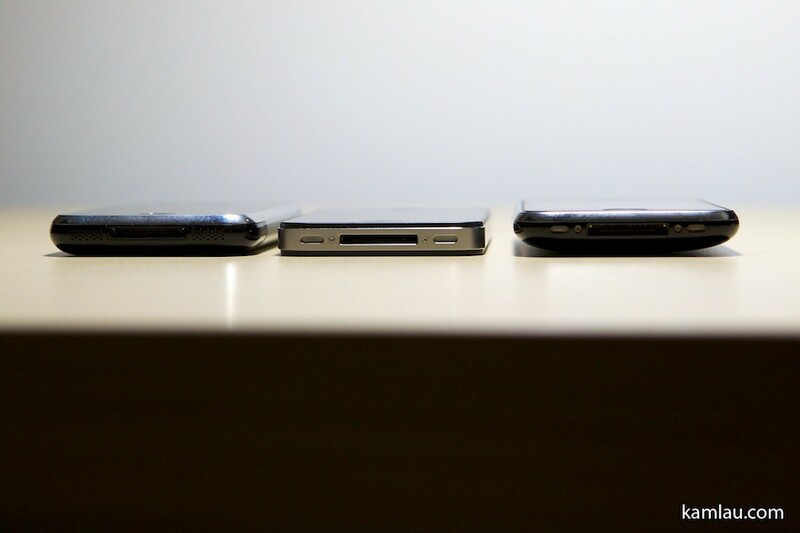 The thickness of the phones do vary. 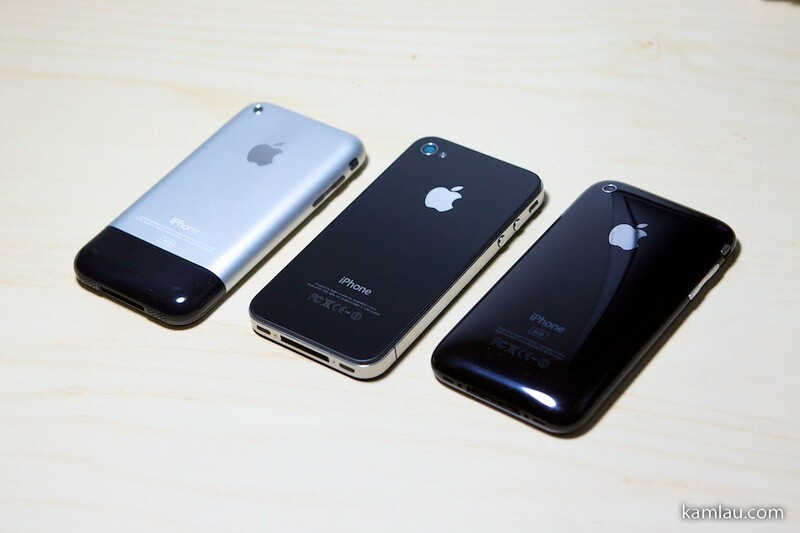 The original iPhone, surprisingly, is not the thickest of the three phones. 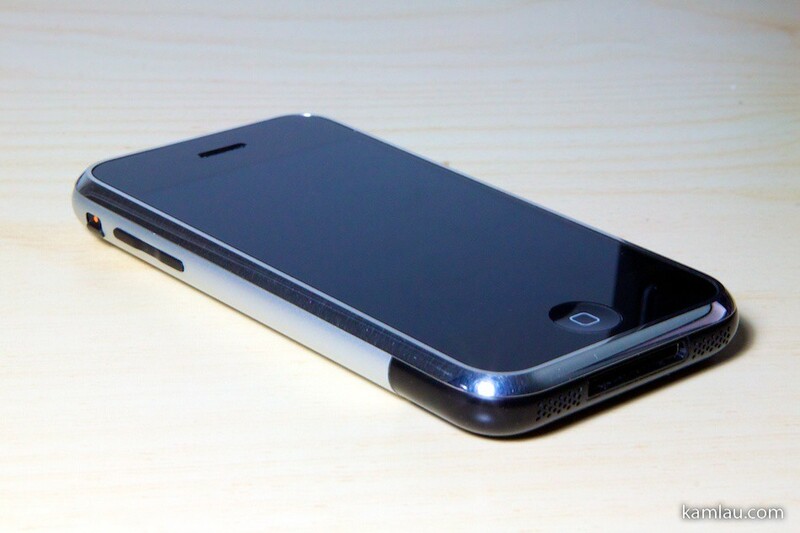 The iPhone 3G is a little thicker. 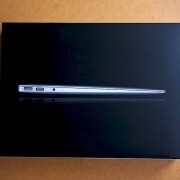 Packaging wise, Apple did make some changes in terms of the photos on the top of the box. But the basic graphical elements on the boxes are the same. 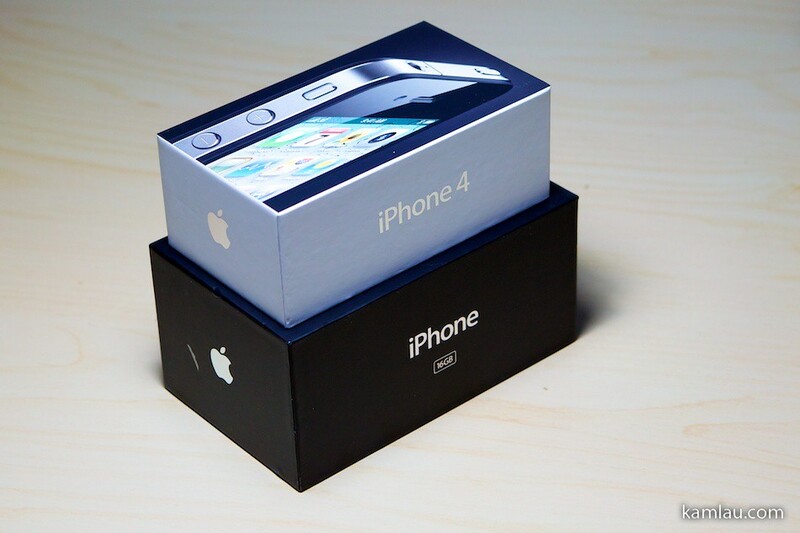 The box of the iPhone 4 is a lot smaller than the box of the original iPhone. Isn’t the original iPhone very iconic? 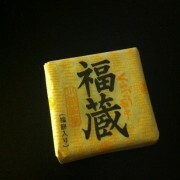 The inside of the boxes are also very similar. 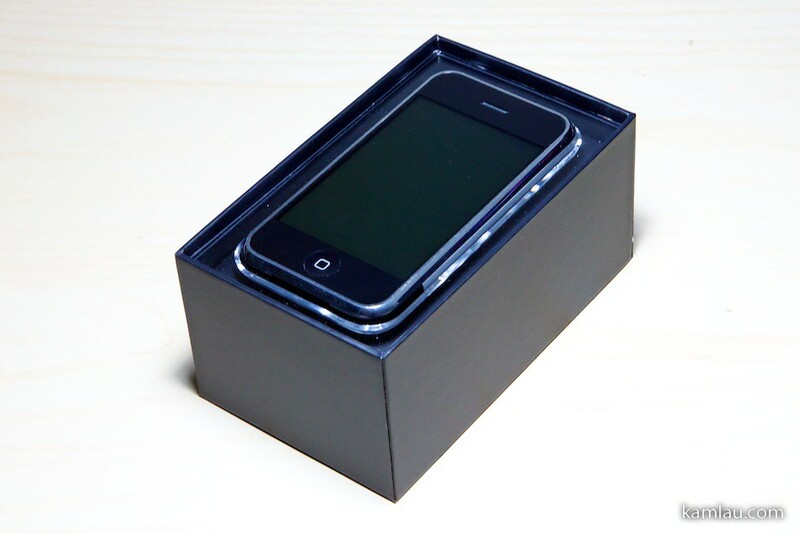 I really like the black color of the original iPhone box with the transparent plastic insert. It makes the phone more “bling”. 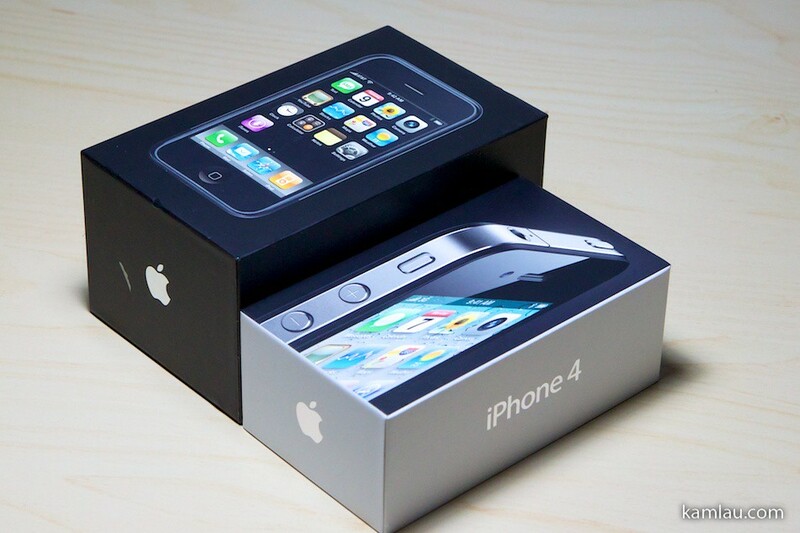 I still remember the excitement when I first deboxed the original iPhone. 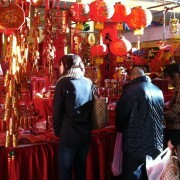 That was when I realize the difference between Apple products and products from other brands. 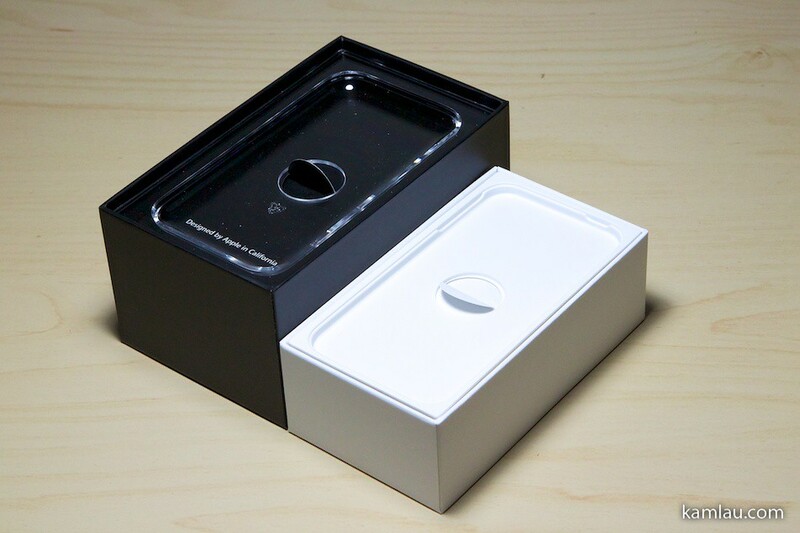 The whole experience of deboxing the product and discovering how Apple presents the product to their customers is quite unique. I felt I got more than just a gadget, I felt got a designer’s item. Technically, the original iPhone was not very cutting-edge from a phone technology perspective. For example, 3G data connectivity was not part of the original iPhone. The camera that came with the original iPhone was years behind the competitors’. The headphone jack didn’t work with every headphone because of the weird sunk-in design. It does not have a real keyboard, or even a keypad like most other phones. In a lot of ways, it is not the best phone for a lot of people. But it was the first phone with the capacitive touchscreen so you don’t need a stylus to interact with the screen. It was the first phone to run a Unix variant OS. It was the first phone to have an App Store behind the hardware, allowing all sorts of additional functionality to be added via software applications with ease. The user experience of the iPhone is definitely ahead of its competitors’ at the time. Apple made it fun for their customers to enjoy the phone. Just like the exterior elements of the phone didn’t change much throughout these generations, the UI of the iOS also didn’t change much. The user experience is consistent, even with additional functionalities being added from version to version, it didn’t feel that Apple has added too much or has cluttered up the UI one bit. Have you gotten the bug from Apple? 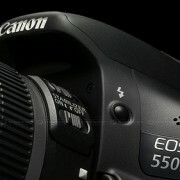 How would you compare their design with other products you aspire to get in your life? of course. we should try it! email me your number and I will call you! It is definitely a big step ahead of the original iPhone in a lot of ways.